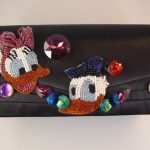 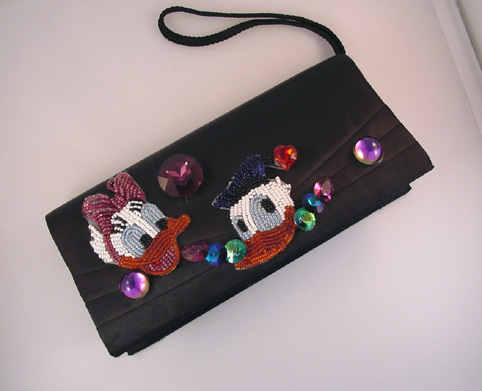 WENDY GELL Walt Disney purse with Donald and Daisy Duck applied in rose, white, black, blue, navy and white glass seed beads with rhinestone and cabochon rhinestone accents, all on a black satin purse with optional handle. 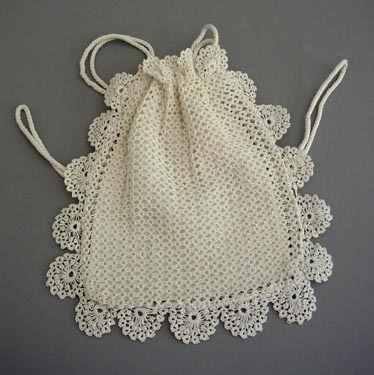 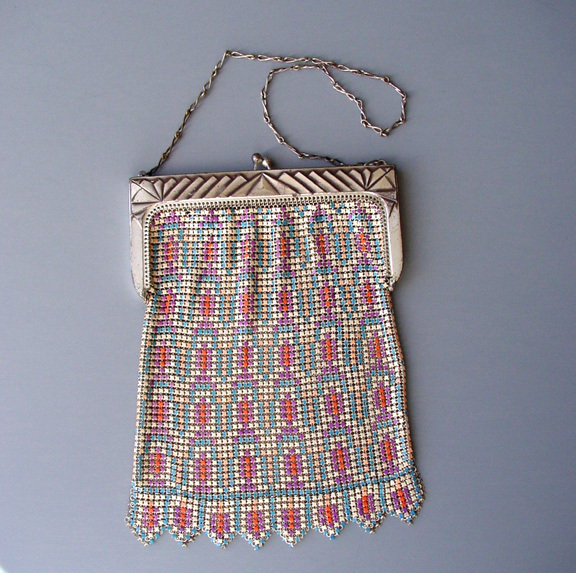 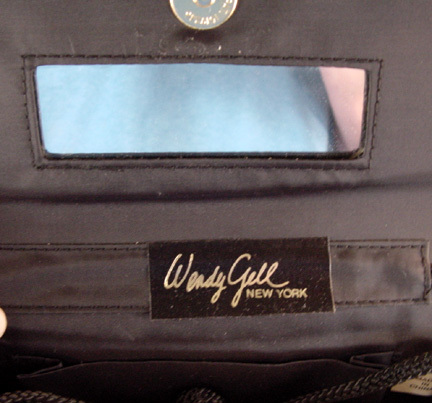 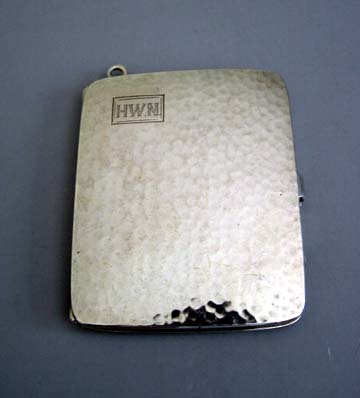 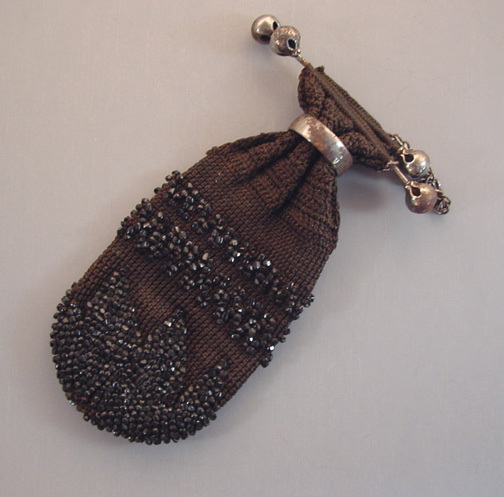 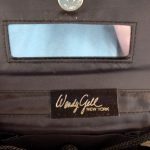 The purse is marked inside "Wendy Gell NY, made in China, and it is 9" by 4" and 2-1/4" wide at the widest. 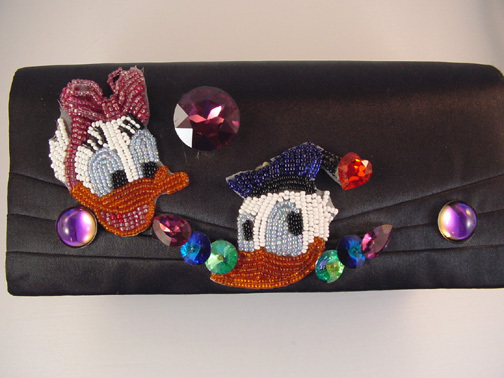 There is a line of about 8 white glass beads missing on the left side of Daisy's hair bow, otherwise this is in excellent condition as though never used.